The New England Patriots may have lost a top wide receiver to injury in Friday’s preseason game. 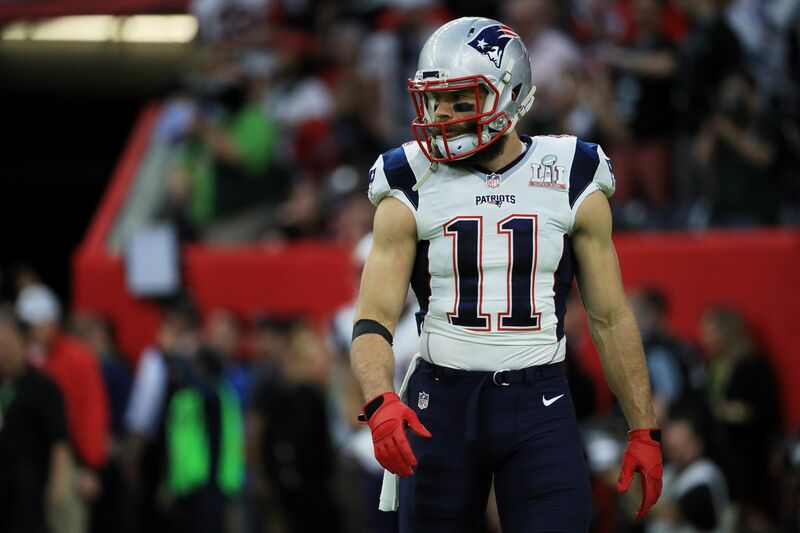 Early in the New England Patriots’ third preseason outing against the Detroit Lions, wide receiver Julian Edelman had to be carted off the field due to injury, according to Albert Breer of MMQB. Edelman caught a pass early in the game but came up lame after taking an awkward step in an attempt to gain yards after the reception. He immediately grabbed the outside of his right knee. and limped off the field. He was checked out in the medical tent before being taken to the locker room on a cart. While in the tent, Tom Brady appeared extremely concerned. He jumped over the bench to make sure one of his favorite targets wasn’t injured too badly. The 31-year-old receiver was off to a great start. Before falling to injury, he had caught three passes for 52 yards from Tom Brady. All of this came in the first two minutes of the game. However, Edelman’s injury didn’t cause the Patriots offense to stagnate. Within six minutes, they scored two touchdowns on passes from the future Hall of Fame quarterback. Since joining New England in 2009, Edelman has made exciting plays for the offense. He has slowly become one of the offense’s most consistent options, racking up two seasons of 1,000 or more receiving yards, including 2016. Not only is he a talented receiver, Edelman can also return punts. He holds the Patriots’ franchise record for longest punt return and the most punts returned for touchdowns with four. Still, Edelman’s career has been plagued by injuries. He has only played every game in a season twice. The Patriots announced on Twitter that Julian Edelman is questionable to return to this preseason game.